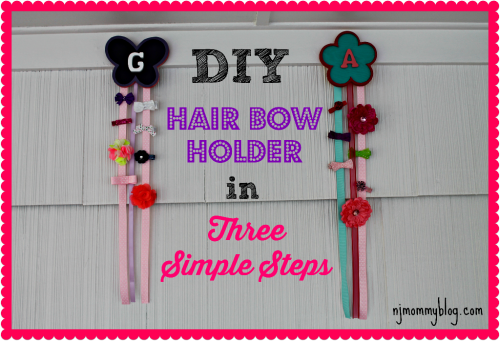 Tired of finding hair clips and bows strewn all over the house, I tapped into my creative side and made this adorable DIY Hair Bow Holder in 3 Simple Steps! It’s cute, functional, inexpensive, and also makes a great gift or kid’s craft. Posted in Arts & Crafts, DIY, Mom Stuff, Pinterest Awesomeness, Pinteresty. Tagged arts and crafts, baby accessories, crafts for kids, DIY, hair bow holder, hair bows. 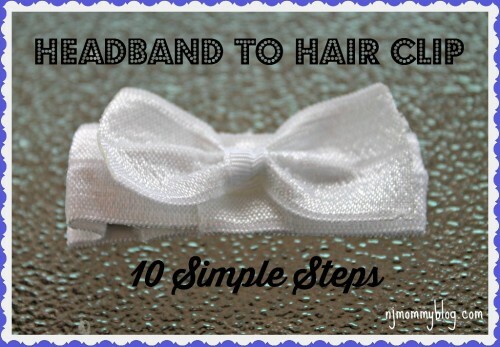 In 10 simple steps, I transformed my daughter’s newborn headbands to kids’ hair clips. This easy DIY gave my daughter’s infant accessories a second life. Posted in Arts & Crafts, Baby Products, DIY, Mom Stuff. Tagged arts and crafts, baby accessories, DIY, hair bows. © 2014 NJMommyBlog.com. All Rights Reserved. Web Design and Development by Chris Jason.